Tune up your event promotions when you post the Classical Music Poster before your next performance. 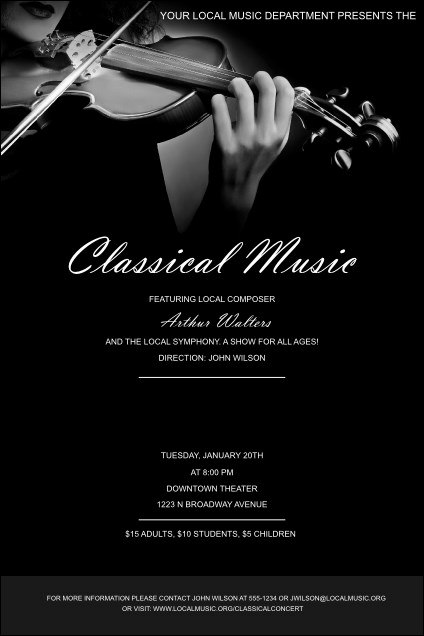 This template features a graceful image of a violinist, with event details in clear white text on a black background. From intimate recitals to big festivals, advertise with the right design. From quartets to a full orchestra, promote your events with the right poster from TicketRiver.com.au.